We live a fast-paced life in a super-connected world these days. Communication has evolved, and so have our advertising and marketing strategies. Digital marketing has taken over traditional marketing and changed the whole marketing perspective across all business sectors. Traditional marketing is still in use, but the dependence on technology has given digital marketing the upper hand. It has resulted in this new form of marketing which is more accessible, cost-effective and result oriented. But what actually is digital marketing? How is it done? Let’s find out. Simply put, Digital marketing is the term used for the marketing of products and services with the help of digital channels. Benefits of digital marketing are immense with the use of its various digital marketing channels. These channels help marketers to target their desired audience and also increase their reach to attract more potential clients. By using the right digital marketing channels, you could hit the spot with your marketing campaign and yield satisfying results. 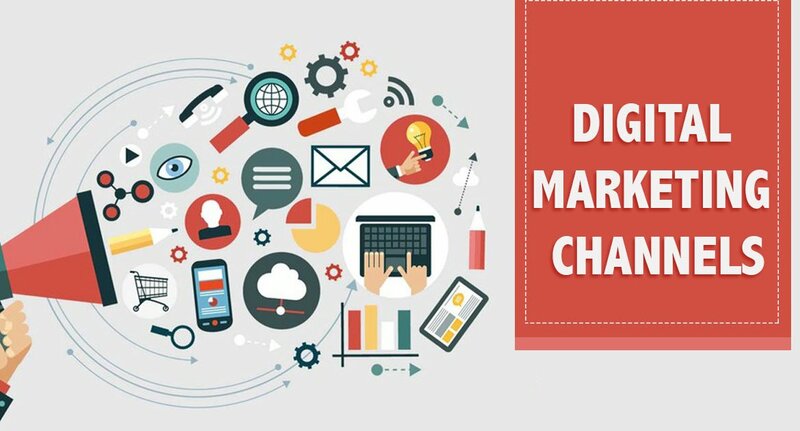 Listed below are some of the most popular digital marketing channels followed by a detailed explanation. Social media marketing is a digital marketing channel which uses various social media platforms to promote various brands and businesses. Some of the social media platforms which can become a part of your marketing efforts are Facebook, Instagram, Twitter, LinkedIn, Google+, Youtube, Pinterest and so on. These platforms are a must-have for companies who want to generate leads and boost businesses by utilizing the power of the internet. 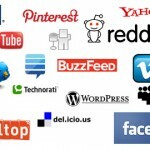 Each social networking platform has its own significance and caters to a particular kind of audience. For e.g. 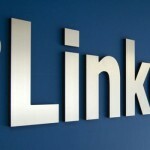 if you’re into B2B, then LinkedIn is a must-have. On the other hand, if you’ve started a new B2C business venture regarding fashion or food, then Instagram should be on top of your list, along with Facebook. With social media users growing every day, this channel can boost your engagement with consumers and strengthen your brand. In 2017, the number of people using social networking sites crossed 2.5 billion, and it will only grow as time passes. This gives marketers a huge advantage to connect with their target audience and leverage brand awareness and recognition to reach out to potential as well as existing clients. A well-planned marketing campaign on social media can reap great benefits by getting viral in no time and also helping you earn fruitful ROI. Want to up the ante with social media marketing? At Yelkotech, we offer satisfying social media marketing services to help your business meet desired goals. Simply put, SEO is the process to optimize your website for it to show up on web search engines (Google, Bing, etc). It is often termed as “organic”, “natural” and “free”. First and foremost priority of search engine optimization is to get your website or a particular web page to feature on the search engine results page (SERP) when a specific set of keywords related to the content on your website is used. Once your website features on the results page, then the priority is to increase your visibility and get to the top of search engine results. This can be done through a number of activities like keyword analysis, off-page and on-page optimization etc. 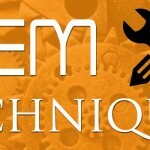 There is another article which in detail includes a step-by-step guide towards SEO and its tools. SEO plays a major role in molding your business because the majority of traffic today comes from search engines. When people Google and your website is on top, you’re sorted! In digital marketing, people say, “Slow and steady wins the SEO race”, and that’s the beauty of SEO. It’s a slow and gradual process which can be utterly beneficial for you in the long run. Once your search engine optimization tactics are set, you’ll be raring to take on the market and boost tremendous traffic to your website. Also, in SEO it totally depends on how you write your content and use all other tools to perfection in order to make search engines put your post as the top result. It is the most popular channel amongst digital marketers. Search Engine Optimization is the ‘lambi race ka ghoda’, and is here to stay. Take your business to new heights of success with our ethical SEO services! Pay-per-click is an important digital marketing channel. Unlike SEO which is organic and a slow process, PPC is a paid form of online advertising used to drive instant targeted traffic to websites. SEO has long-term advantages for your website, but PPC is a must for new websites as it can help you generate a significant amount of sales within weeks. In (PPC), the advertisers pay each time their advertisements are clicked. PPC is either executed with search engine tools like Google AdWords and Bing Ads or done through social media platforms like Facebook, Instagram, LinkedIn, Twitter and many others. PPC campaign done through first-tier search engines is prominent and yields maximum results for marketers in quick time. In pay-per-click advertising, marketers bid for the placement of their advertisement in the sponsored links of search engines for a specific set of keywords. The advantage of pay-per-click advertising is that you can create multiple ads, define and target your desired audience and optimize them the way you like. The method of advertising depends on how much you invest in bidding and placing ads, also on your willingness to pay for one click. A successful PPC campaign is the one which has them all – correct use of keywords, perfectly set up PPC landing pages and optimized for better conversions. Increase sales and maximize your ROI instantly from our PPC services at Yelkotech. Email marketing is another important digital marketing channel which promotes brands and businesses through electronic mails or emails. Businesses do collect email addresses from people who visit their website through email subscription. They also have a gathered database of potential customers and use email marketing to create brand awareness, build relationships with prospects and turn them into customers. When used effectively, it can be a great medium to send out newsletters, generate leads, update both new and existing customers about new products and encourage repeat business. There are many email marketing service providers like MailChimp, AWeber, Constant Contact etc. that give you full control and allow direct contact with your customers. These email marketing tools come with built-in templates and enable marketers to create appealing emails, manage their contact list, segment users into different groups and track the overall performance of email campaigns. 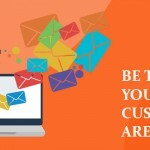 Email marketing is an amazing way to not only market your business but also to stay connected with your customers. Want to create engaging emails and acquire more leads for your business through email marketing? At Yelkotech, we do just that. Check out our email marketing services over here! Affiliate marketing is a purely performance-based digital marketing channel wherein affiliates refer someone to any online product and when that person buys the product on recommendation, they receive a certain amount as commission. In order to have a wider reach, many brands hire affiliate marketers to work for them and market their products. Affiliate marketing, in some places, goes hand in hand with other digital marketing channels, as affiliates often use paid search engine marketing tools (pay-per-click), organic search engine optimization methods, content marketing and other mediums to drive traffic to a particular product. Affiliate marketing is no longer underutilized and slowly establishing a foothold with the presence of many e-commerce websites. Whoever has said, “Content is king” has got it to spot on. Content is to digital marketing what Joey is to F.R.I.E.N.D.S. It is one major element that is here to stay because it forms the base of any digital marketing strategy. In simple words, content marketing is a digital marketing channel that focuses on building high-quality content to attract the desired target audience and generate leads. Content marketing includes content through blog posts, infographics, videos, forums, and other visual and written communication tools. To derive fruitful results from your SEO, SMM and PPC campaigns, your content needs to be of high-quality and non-plagiarized. It is content that adds luster and life to all digital marketing campaigns. Display advertising is a digital marketing channel that places display ads on various blogs, websites, and forums. Display ads could include anything from banners, interactive ads, video ads and interstitial ads. Digital marketers reach out to their potential customers by having display ads placed on third-party websites. With proper keywords and design, display advertising can create great brand awareness and increase traffic to a website which may convert into leads. The payment in display advertising is slightly different from PPC. Digital marketers usually make payment on a cost-per-mille (CPM) model where mille stands for a thousand impressions. It is more cost-effective than pay-per-click advertising. Display Advertising has another subset called remarketing display ads. It works on the system of cookies. When you visit a website and click on a particular ad, that ad follows you on other website pages as well, thus resulting into remarketing of products and services. It is basically used for brand awareness. Mobile marketing is a top trending digital marketing channel used for reaching a target audience of smartphone users through SMS, video ads and in-app advertising. There’s more to mobile marketing strategies with location or GPS based mobile marketing, mobile image ads and search ads. With about 70% of the adult population in India using smartphones, mobile marketing has a huge scope and is a great channel for brands to interact with their customers. Digital marketers mostly use SMS marketing to inform both their existing as well as potential customers about their new products. It is a cost-effective marketing strategy that can derive fruitful results for brands and businesses. Online Public Relations is a tactic used in the whole digital marketing process, mostly for new announcements like product/service launch or top management executive joining, or joining any brand ambassador, etc. Brands build relationships with online journalists and leading content writers to promote their websites and get as many backlinks as possible. Online PR is a part of content marketing as its main objective is to create highly engaging content to promote brands and businesses. When digital PR is closely followed with effective use of SEO, it can increase a brand’s visibility and drive traffic which in turn can help generate leads. Online Media buying is a digital marketing strategy of selecting a single media platform or a mix of media platforms to place ads for a fixed period of time. Digital marketers opt for online media buying in order to gain maximum reach and create brand awareness. Its payment is fixed depending on the time period and is not determined by the PPC concept. Media buying helps marketers to create ads with the very deep detailing of the target audience. It can also be done through social media influencers and buying sponsored posts. So these were the most popular and different types of digital marketing channels to advertise your brands and businesses digitally. As all digital marketing channels are linked to each other in some way, you need to have a collective digital marketing strategy which is solid and strengthening. But what if there are budget constraints and you want to know only those digital marketing channels that work best for your business? How to determine which channel will best help you to grow your business and generate the desired traffic to your website? Well, the answer lies in the type of business you have and your target audience. Understanding your business type with its goals and your target market will help you to test and derive the correct digital marketing channel for your brand and business. We have written a whole article on this topic. Also, if you’re looking for digital marketing services for your business or brand, look no further. Yelkotech is a digital marketing company dedicated to providing quality digital marketing services at competitive prices. At Yelkotech, the onus is on us to drive immense traffic to your business website from the services you choose.